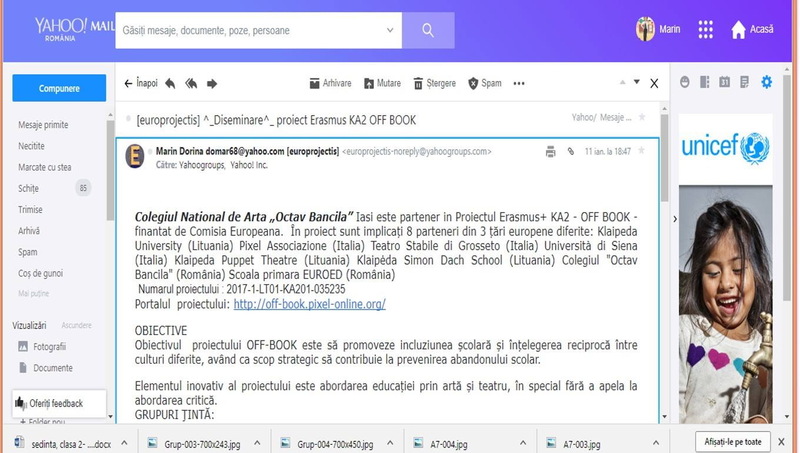 An informative email was sent to the yahoo group of schools involved in the European projects at the level of Iasi county. The presentation of the project was based on the data in the OFF BOOK Brochure and also on the web site. The group has several hundreds of members of which, we assume, about 75-100 read the informative mailing. Other schools and teachers in the county of Iasi have learned about OFF BOOK project, its objectives, target groups and results. Periodically, we'll inform the group of the project progress.